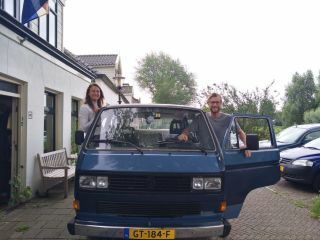 Driving camper ready for a new adventure! 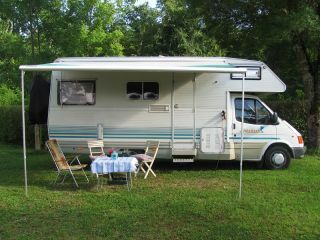 For rent: our practically furnished camper for 2 people. It has been raised and extended so that there is standing height everywhere. Features a large table that easily folds into bed. The size of the bed is 195cm by 170cm. Sufficient storage space, kitchen with 2 gas burners and an oven and sink with tap. The refrigerator works on gas / 220v / 12v. The camper has a bike carrier suitable for 2 bikes. The awning is easy to fold out. There is also a chemical toilet. Because of its modest size, it is still small enough to maneuver through cute French or Italian villages. In short, a great driving camper who is ready for a new adventure. The inventory is present: Table with 2 chairs plates, pans, cutlery. 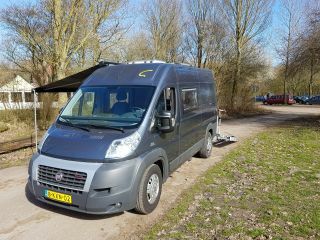 We find traveling with the camper an ideal way of vacation. We have been to Croatia, Austria, Germany, France, Luxembourg and several times to the Ardennes. We stay alternately on campsites and in the wild. Super driving and comfortable compact camper: a bus camper.